Thompson also experienced multiple hallucinations in his residence hall, believing that people were talking about him and to him through the walls. Thompson complained about the treatment that he thought that he was receiving and warned that the university’s failure to discipline the students who were responsible would force him to escalate his own behavior. The school responded by moving him to a new dormitory. In Jan. 2009, Thompson complained about other students that he thought were talking about him in his classes. One teaching assistant believed that he was exhibiting the symptoms of schizophrenia and talked to her supervising professor. Together, they recommended that Thompson avail himself of UCLA’s Counseling and Psychological Services. The assistant dean and the dean were later made aware of Thompson’s psychological issues, and he eventually agreed to get help at the school’s CAPS center. He was diagnosed with schizophrenia and given a prescription for antipsychotic medications. He admitted that he had thoughts of harming others to a school psychiatrist, but he said that he didn’t know who was saying the things about him and that he had no specific plan. Thompson was in a lab class with another student named Katherine Rosen. She was assigned to the lab station next to his, and he decided that she was making statements about him. He made the university aware that he believed that Rosen was talking badly about him, so the university knew that he now had a target but failed to warn her. On Oct. 8, 2009, he suddenly stabbed Rosen multiple times in the chest and the neck without warning in the chemistry lab. She survived and filed a lawsuit against Thompson, the university and multiple employees. The university argued that colleges do not have a duty to protect students who are adults from criminal acts on their campuses. The university also argued that it had governmental immunity. Rosen argued that schools have a special relationship with students because of the students’ statuses as business invitees and the colleges’ supervisory role in classrooms. The trial court denied the university’s motion for summary judgment, and UCLA appealed. The Court of Appeals overruled the trial court, and Rosen appealed to the Supreme Court. The court first found that UCLA did not have governmental immunity in the case because employers are responsible for the negligent acts of their employees, and the university workers in Rosen’s case were all acting within the scope and course of their employment. The court then turned to whether or not the school had a duty to warn Rosen about the potential of Thompson to attack her. People generally have a duty to act reasonably under the circumstances, but they do not generally owe a duty to control the actions of others or to warn people who might be in danger from those actions unless there is a special relationship that gives rise to a duty. A duty might be owed to warn, control or protect based on the relationship with either the person whose behavior needs to be controlled or with the potential victim who might be harmed. The court ruled that the university had a duty to protect Rosen from harm by Thompson, but it did not rule whether or not it owed a duty to control Thompson’s behavior. The court found that there is a special relationship between students and the university that they attend. The duty that colleges owe to students is limited to activities that are associated with the schools’ curriculum but not to student behavior over which the schools do not have control. In Rosen’s case, the attack happened during a chemistry lab class, so it was tied to the school’s curriculum. The court also found that colleges owe a duty to warn and to protect students while they are in class from foreseeable risks of violence. Thompson had communicated his delusional beliefs, and the school’s psychiatrist had initially not warned anybody because he didn’t have a target or a plan. However, when the school learned that he had blamed Rosen for making bad statements about him, it new that Thompson did have an identified target but failed to protect her or to warn her about Thompson’s increasingly erratic and threatening behavior. The Supreme Court then overruled the Court of Appeals and sent the case back to the trial court, reinstating Rosen’s lawsuit. When people attend college, they expect that they will be kept relatively safe from harm. 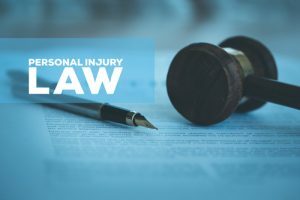 People who are attacked by others while they are in their classrooms or while they are engaged in school-related activities might want to talk to an experienced personal injury lawyer about the rights that they might have. Contact our firm today to learn more about your potential claim.